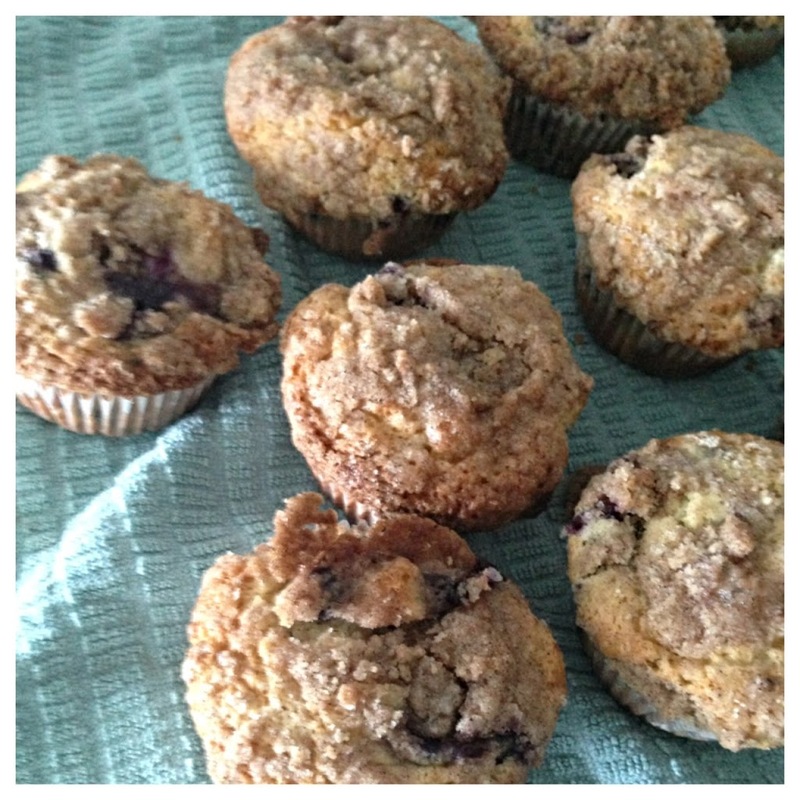 There is nothing better on a lazy summer morning than a freshly baked blueberry muffin. This recipe brings me back to the long summers spent on Nantucket Island growing up. These muffins are to die for and have an extra layer of cinnamon crumble on top. Add extra blueberries if you want that extra burst of blueberry flavor. I created this recipe by adapting many different ones, to come up with the perfect muffin. Enjoy! 2. Combine flour, sugar, salt and baking powder in a bowl and set aside. Mix liquid ingredients (vegetable oil, eggs, milk and vanilla extract) into a separate bowl. 3. Incorporate the liquid mixture to the flour mixture on a low speed with an electric mixer. Fold in blueberries. Fill muffin cups almost to the top, and sprinkle with the crumb topping. 5. Bake for 20 minutes, or until done.